In the last 30 years, the carp fishing world has exploded with new and innovative products designed to fool that wariest and biggest of carp. The massive changes in the sport mean that there is a huge array of tackle and bait available, and we endeavour to stock as much of it as we can. Our range of carp rods includes those from Nash, Greys, Prologic, Chub, TF Gear, Fox and Century. We have strong test curve rods designed for whacking large PVA bags long distances, as well as delicate, light stalking rods for those close quarter encounters. We also have a variety of reels for carp fishing, with reels from Fox, Nash Shimano, Wychwood, Daiwa and Okuma. Again we have many styles of reel for varying disciplines, with the most popular being the bait runners and big pits with quick clutch systems. We also have a huge range of other carping equipment, including rod pods, bedchairs, landing nets, chairs, rod holdalls, accessory bags, throwing sticks, catapults, bivvies, sleeping bags, unhooking mats, three piece fishing suits, coats, bite alarm systems, stoves, pans and trolleys. With equipment from across the market, we can cater for all budgets and angling styles. We also have a large stock of different terminal tackle from companies such as Korda, ESP, Fox, Nash, Gardener and Greys. With over 50 different hook combinations of size and pattern, a variety of leader systems, needles, PVA bags and mesh, tubing, clips, drills, bobbins and much more, we should have the tackle to catch even the cleverest of carp. Even if you have the latest top of the range gear, you will catch very little without a good quality bait. Here at Keith’s Sports we stock a variety of boiles, both shelf life and freezer baits, as well as pellets, pop ups and glugs. We stock a lot of the Nash and Mainline baits, as well as Active baits, Richworth, Starbaits and Sticky baits. 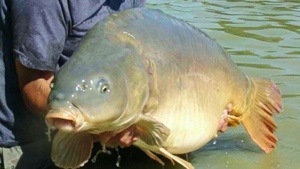 We will definitely have something for every carp to enjoy.